Focused and unassuming fifth generation cider-maker Sanna has one desire: to live a simple, quiet life on her family’s apple orchard in Door County, Wisconsin. Although her business is struggling, Sanna remains fiercely devoted to the orchard, despite her brother’s attempts to convince their aging father to sell the land. Isaac’s helping hands are much appreciated at the apple farm, even more when Sanna’s father is injured in an accident, leaving her as his sole caretaker. As Sanna’s formerly simple life becomes increasingly complicated, she finds solace in unexpected places—friendship with young Sebastian and something more deliciously complex with Isaac—until an outside threat infiltrates the farm. Can Sanna save the orchard and her budding romance? Or will she lose more than she knew she had? 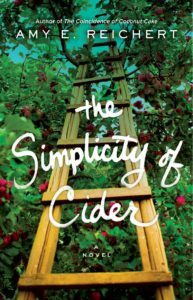 The Simplicity of Cider is a charming love story with a touch of magic, perfect for fans of Sarah Addison Allen. I just bought one of those anti-gravity lawn chairs and it is bringing me all the happiness. I’m writing this post as I lounge in it in my front yard. I may never get out of it. Good thing I get wifi outside. My anti-gravity chair. 😉 Also, Turks & Caicos. I don’t think that needs an explanation. Don’t laugh, but when I was a teenager, I thought I was going to be a lawyer. I planned to attend Harvard Law and take the legal world by storm. I even had a Harvard sweatshirt—proof that I was serious. Thank heavens that didn’t work out. The legal world is better off not having me in it, but I did marry a lawyer, so my teenage-self found a way to get all the perks without having to go through the hassle of law school. My family. My kids are so goofy and smart—they are always surprising me with witty comebacks. I probably shouldn’t encourage it, but I love it. My husband’s special talent is he can make me laugh, no matter how angry I am. Seriously, I think he might have a super power. Wifi, computer, and my anti-gravity chair. I was going to say never-ending pina coladas, but then I bought the chair and my priorities have changed. Writing in my anti-gravity chair. Okay, okay. I’ll stop with the chair. 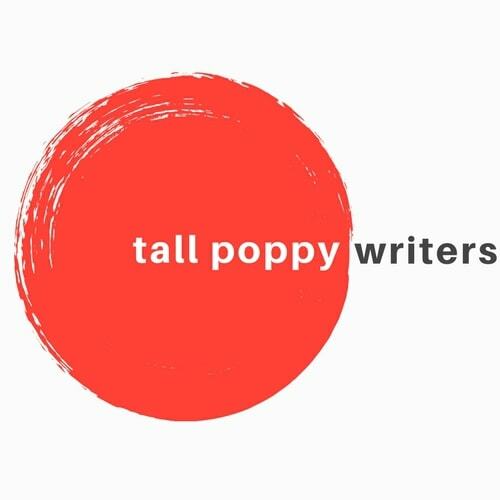 In truth, it’s meeting all my favorite authors and talking with people who would understand the crazy world of publishing, and the importance of an anti-gravity chair you can work in (sorry, not sorry). The Orphan’s Tale by Pam Jenoff. I just started, but I can already tell I’m going to love it. Next week, we’re doing a book event together in Minnesota and I’m so excited to hear about her exciting year so far. I wonder if she has an anti-gravity chair? 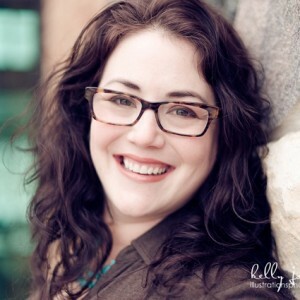 Amy E. Reichert, author of THE COINCIDENCE OF COCONUT CAKE, LUCK, LOVE & LEMON PIE, and THE SIMPLICITY OF CIDER, loves to write stories that end well with characters you’d invite to dinner. A wife, mom, amateur chef, Fix-It Mistress, and cider enthusiast, she earned her MA in English Literature and serves on her local library’s board of directors. Congrats, Amy! I’ll have to grab a copy during my next book haul.